Hey everyone! My name is Aimee, I am excited to be one of Seacoast Eat Local’s new interns! This is my first time working with Seacoast Eat Local, and I am looking forward to working with a wonderful organization that puts a strong emphasis on healthy and locally sourced foods. A little bit about my background, I am a senior at the University of New Hampshire of the Nutrition and Dietetics program. 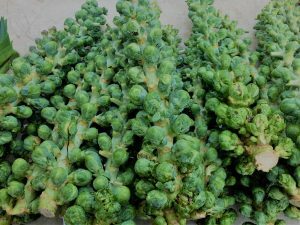 I have a dual major in Ecogastronomy, in which I study sustainable food systems and how they impact various aspects of life- including nutritionally and economically. As you can see, I devote my studies to food and sustainability. 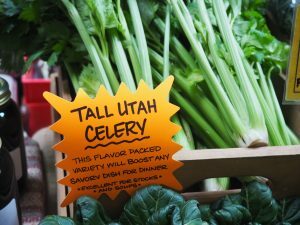 My interest in Seacoast Eat Local stems from my desire to work in the field of community nutrition and public health. I have done some work at a local food pantry that puts an emphasis on locally grown food, and I thoroughly enjoyed this work. 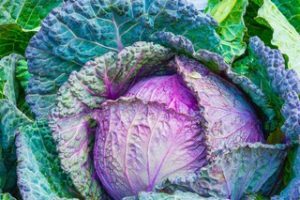 Through my work at this food pantry, called the Waysmeet Center, I discovered where my strongest interests regarding nutrition were and have been working to expand my experiences in it. Before college, I grew up in Nashua, New Hampshire. 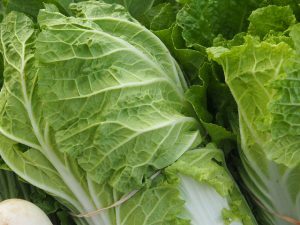 I often went to farms to find different vegetables with my parents and friends, and those trips were always enjoyable. 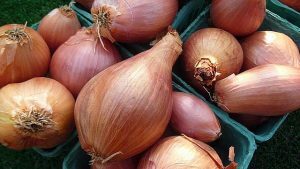 I remember being interested by all the types of foods at farms and farmers markets that could not be found in our regular grocery stores (typically Hannafords or Market Basket) and I am excited to work at the farmers markets with Seacoast Eat Local and spread my excitement about food! If anyone has anything they would like to see on this blog, do not hesitate to reach out! I hope to see you at the markets soon! Also, this is a picture of me at one of my favorite farms! Parlee Farms, in Tyngsboro, MA, has a pick your own flowers and blueberries in the summer time! 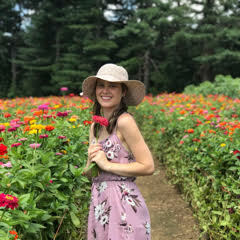 I am in their beautiful flower field, and fun fact- it was pouring in this picture! Posted in Intern PostsLeave a Comment on Aimee’s Post: Joining the SEL Intern Team! Posted in Intern PostsLeave a Comment on Melissa’s Post: Back at SEL! Pears are a member of the Rosaceae plant family, along with apples, peaches, plums, cherries and an abundance of other fruits. 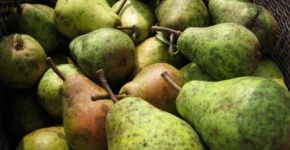 There are many different varieties of pears, however the most commonly grown in the United States include Bartlett, Anjou, Bosc and Asian pears. Pears are in season in the seacoast area through October, however they are still available at the farmer’s markets and can be used if you have some leftover from this year’s harvest! One pear has approximately 100 calories, 28 carbohydrates, and 5.5 grams of fiber. A pear also contains 12% vitamin C, 10% vitamin K, 7% copper and 6% potassium of the daily recommended values. Due to their high vitamin C content, pears help support a healthy immune system and help to prevent free radical damage. Pears also contain a large amount of soluble fiber, which helps to maintain blood glucose levels after eating a meal and has also been shown to decrease blood cholesterol levels. Ever since I was little I always loved eating pears. I would always have them when I went over to my grandma’s house. She would leave them on the counter, by the window and let them ripen until they were soft and juicy and delicious. They are the perfect snack to hold you over in between meals or even for a little after dinner dessert. 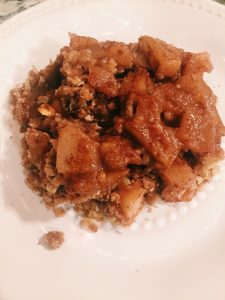 Below I have shared one of my favorite ways to incorporate pears into a healthier dessert dish. 2. To a large bowl add, sliced pears, sliced apples, cinnamon, nutmeg, raw honey, salt, and lemon juice. Gently toss to coat all the fruit with the spices. 3. Pour fruit mixture into 13×9″ baking dish. 4. In medium bowl, add regular oats, flour, brown sugar, cinnamon, salt, and butter. 5. Using your hands combine the butter into the dry ingredients until everything is combined and crumbly. 6. Sprinkle Crisp topping on top of the fruit mixture. 7. Bake for 35-40 minutes, until top is browned. 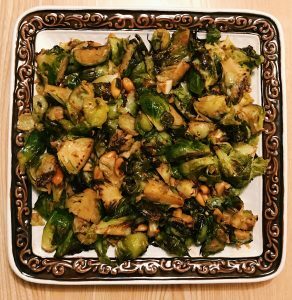 Posted in Intern PostsLeave a Comment on Kaidy’s Post: Kung Pao Brussels Sprouts! Acorn squash is a small squash that looks like an acorn- how cute! Acorn squash are most commonly found in dark green variety (you can also find orange and white) with an orange flesh that is nutrient dense. 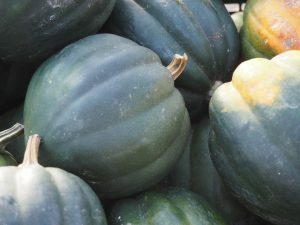 The best time to buy acorn squash is at winter markets as it is in season in North America from fall through winter. Acorn squash, which is typically considered a winter squash, is actually part of the summer squash family and is related to zucchini. Acorn squash pairs well flavors such as apples, sausage, bacon, garlic, sage and nutmeg. Acorn squash contains vitamin A, niacin, folate, thiamine, vitamin B-6 and vitamin C. To keep the high amounts of vitamin C, steaming or baking the squash is more efficient instead of boiling. Each serving of acorn squash contains high amounts of potassium and magnesium along with small amounts of iron, calcium and phosphorus. Winter squash is one of the best sources of the antioxidants, which can lower risk of cancer, neurological disorders, cardiovascular disease and diabetes. In order to get the most nutrients out of your acorn squash, it is recommended to eat the vegetable 3-4 days after purchase and cut right before cooking. Bake the squashes face down (seeds removed) for 20-30 minutes. 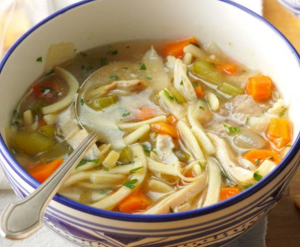 Heat 2 tablespoons of oil over low heat and add all onions, stirring every 5 minutes for 25 minutes. In a different pan, heat 2 tablespoons of oil on low; add garlic and sausage, cook for 8 minutes or until browned. Add apples and herbs and cook until softened. Add spinach, salt and pepper. Mix in the caramelized onions. Stuff the cooked acorn squashes and put in the oven on broil for 5 minutes. Posted in Intern PostsLeave a Comment on Sofia’s Post: Acorn Squash!